Despite a fast descending movement made by the Index yesterday, the main scenario remains the same. It looks like the price is finishing the fourth wave. Right now, it’s quite risky to start buying, that’s why I’ve placed a pending order. 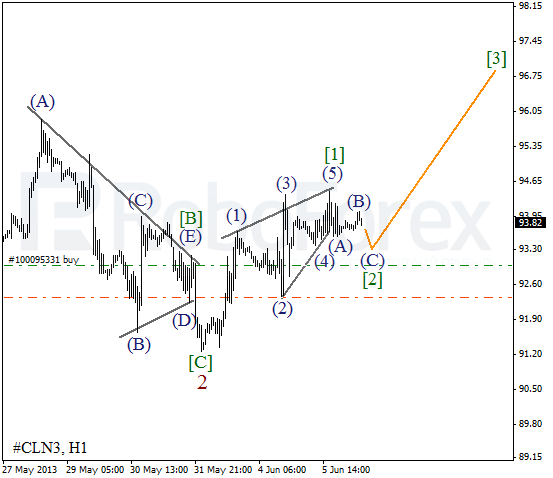 As we can see at the H1 chart, wave  is taking the form of zigzag pattern with diagonal triangle inside wave (C). On the minor wave level, the Index completed an initial ascending impulse. Most likely, the instrument will continue forming wave (1) during Thursday. 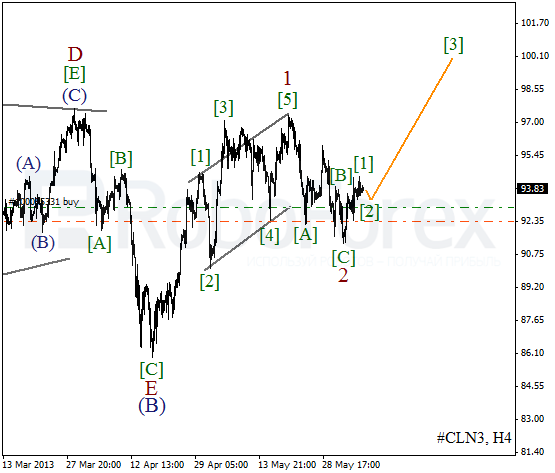 After completing zigzag pattern inside wave 2, Oil formed an ascending impulse inside wave . In the near term, we can expect a correction, but later the price may start a new ascending movement inside the third wave. More detailed wave structure is shown on the H1 chart. 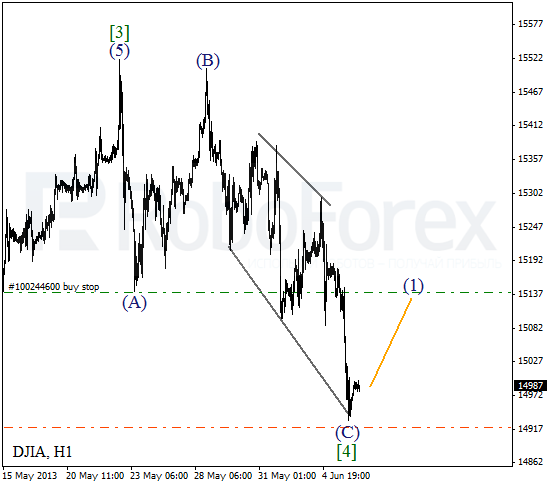 Wave  was completed in the form of wedge pattern, and right now the instrument is forming zigzag inside the second wave. 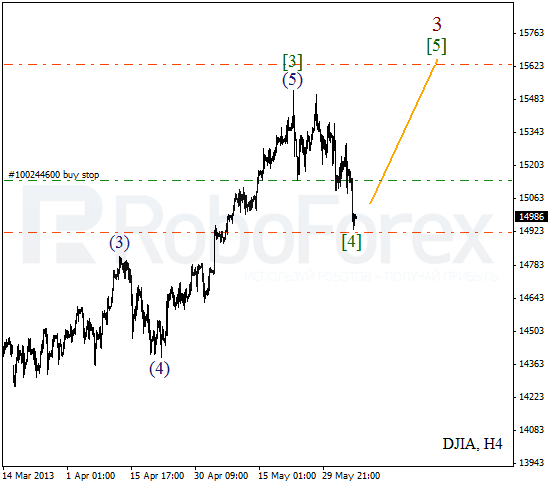 After completing wave (C) of , the market may start growing up inside wave .